I’ve had this antique print for a very long time, probably 17 years or so. It’s actually wrinkled and torn nearly in half when you see it in person, I’m so glad I saved it all these years, even though when I first acquired it I would have never thought it would be possible to correct it on a computer! 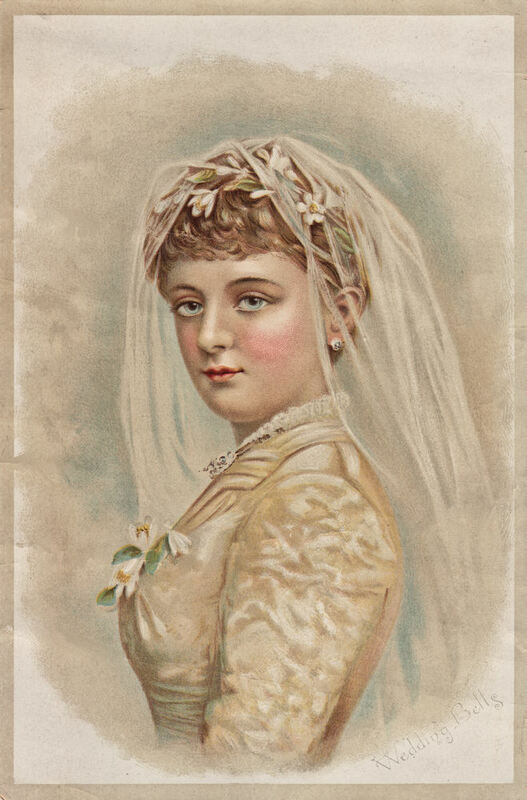 I hope you can find something fun to make with this beautiful Victorian bride, she would make a lovely card for a bridal shower! Here’s something fun you might want to participate in! Karen Valentine at My Desert Cottage is hosting a fun blog party called “Where Bloggers Create“. All of the party guests will be posting pictures of their creative work spaces, on their blogs, on July 24th. I’ll actually be posting mine on my other blog FLEURISH. There’s lots of time left to participate, so pop on over to her blog and sign up! 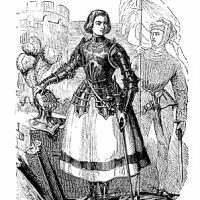 Antique Image – Joan of Arc Pretty Vintage Pink Bouquet Image! Gorgeous Baroque Ornamental Border Image! Sounds fun, I think I’ll go check it out right now! thank you for sharing such WONDERFUL graphics and the info on the other blog FUN! 🙂 Have a GREAT day! Great job fixing the gorgeous old photo! Also, thanks for the heads-up on the blog parties! That is truly beautiful. I am amazed that you could “repair” this image using computer graphics technology. How fun to see this! I found this same bride in an antique store between glass . . . and she’s hanging on my wall.